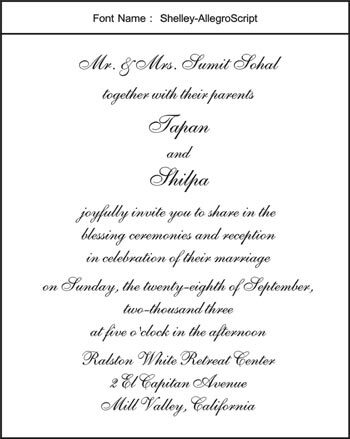 Below is a sampling of fonts in English. 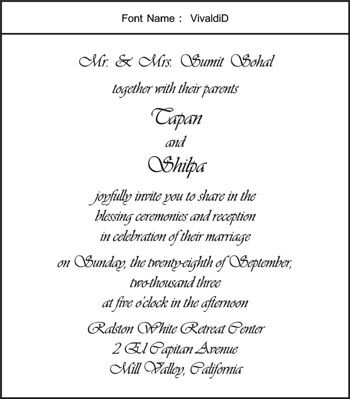 Spanish, Italian, French, Hebrew, Hindi, Arabic, Russian, and many more. 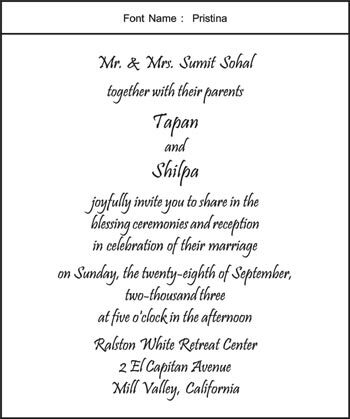 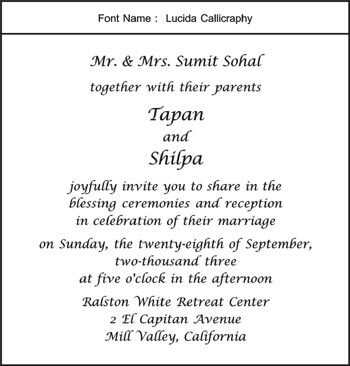 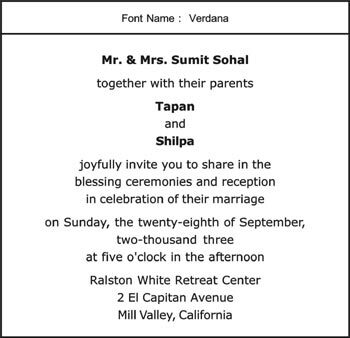 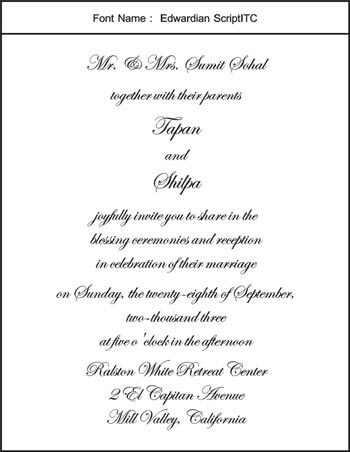 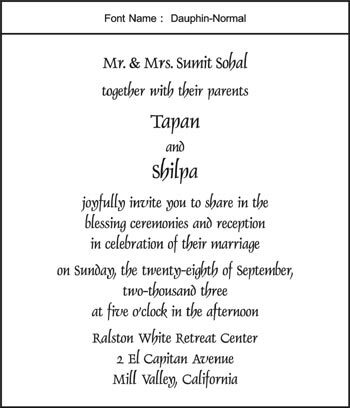 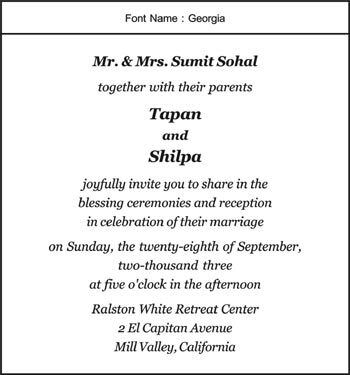 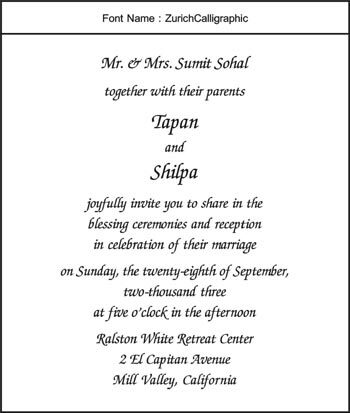 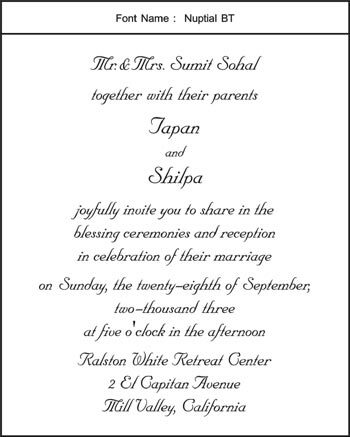 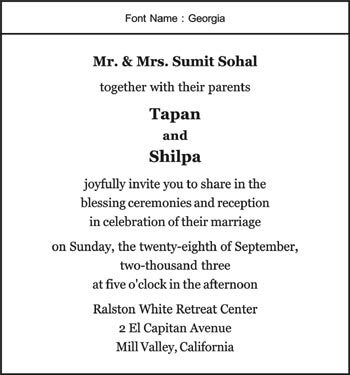 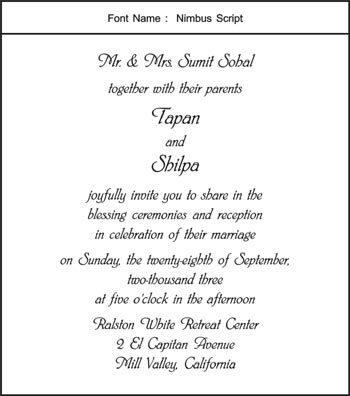 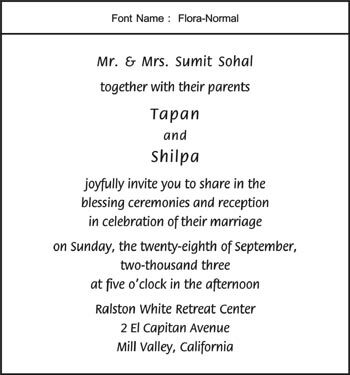 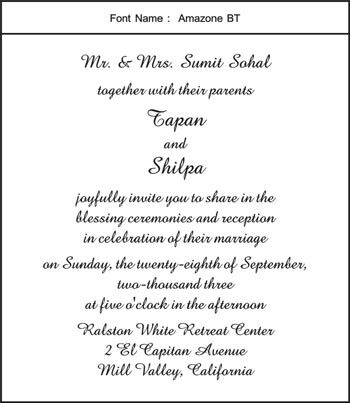 Just send us your invitation wording via email or fax it to us and we will take care of the rest.